Island Networks is pleased to invite you to the latest in its series of Executive Briefings on Thursday 12th of October. 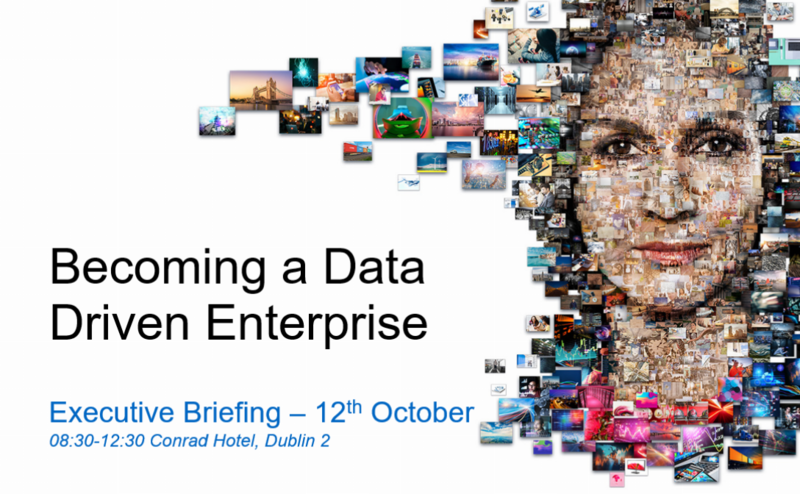 The briefing will cover how your organisation can create value by becoming a data-driven enterprise. At the briefing, you will discover the key market influences and innovations that are driving 21st century IT delivery models. Data is the lifeblood of any business and by transforming digitally you can enable new customer touch-points; create innovative business opportunities; and optimize operations. You will hear directly from the global technology leaders on how you can advance your business by taking control of your data and unleashing its full potential. You will also hear from Allergan plc, an Irish headquartered global pharmaceutical company, about its innovative use of technology to achieve its leading position in Growth Pharma, a new industry model. 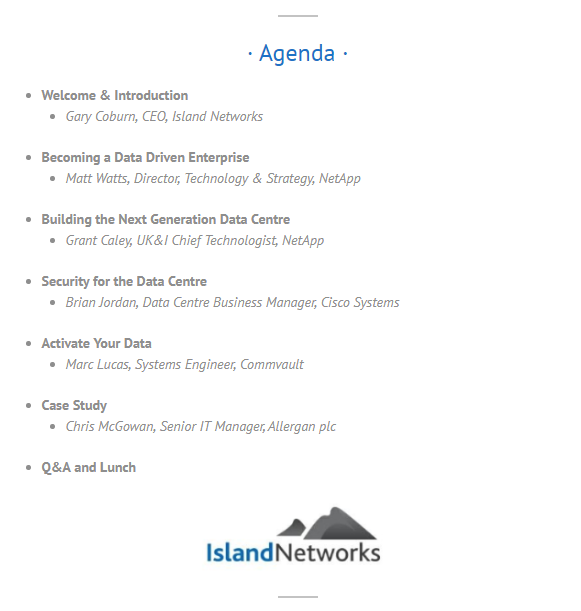 This briefing is presented by Island Networks, the cloud infrastructure specialists, in partnership with Cisco, NetApp and Commvault, the cloud infrastructure and data management industry leaders.